anointedheels: Curse you daylight savings!!! Happy Monday! Yawn! Curse you daylight savings!!! Happy Monday! Yawn! How did you wake up in this find Monday morning? 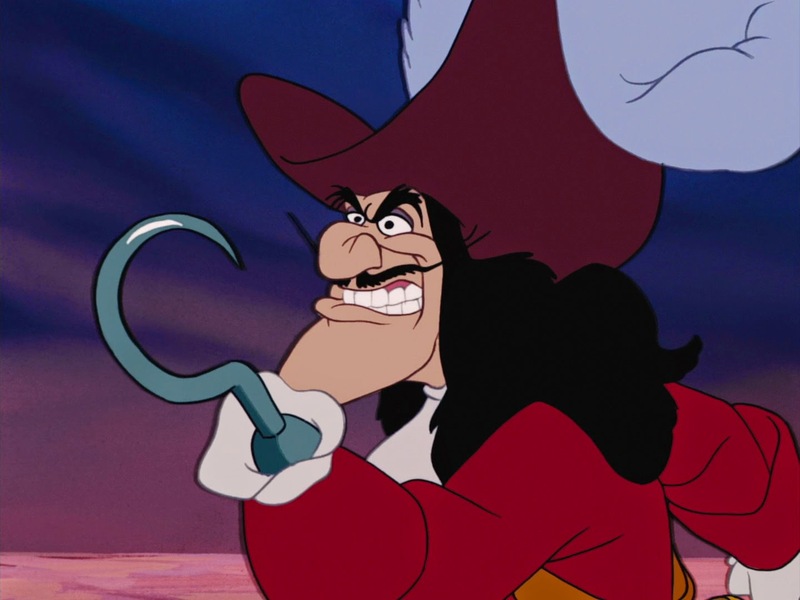 Me I kinda feel like captain hook screaming: "Blast you Peter Pan daylight savings"
I mean I can barely wake up at the time I'm suppose to let alone an hour earlier. Lord I hope my body catches up to this mess quick. Every year it's always the same thing! I get hour stole from me and I'm never ready for it... even if I try! Last night I was on a mission to prepare my body and the girls' for the missing hour change. I got them ready for bed at 7 PM since their usual bedtime is 8 PM, I thought this would give them the extra hour so they can wake up on time and not feeling tired. Boy oh boy! From 7-8 I sing, pray, read to them, I even lay down with them to help stay down and unwind... didn't work. By 8:30 I've had it they wanted water, 8:40 then the phone ring! I'm about to lose it, 9:00 they start a fight, somebody put booger on somebody! So I begin to threaten! LOL I eventually got them to quiet down around 9:30 under the threat if I hear a peep coming from the room somebody is going to GET it! After nearly 2 hours of painful bedtime routine they ended falling asleep on their regular time because 9:30 would have been 8:30. All my hard work to outsmart the system backfire. Note to self next year, just leave them be! Once they get good and tired they'll catch up ton their lost hour in a nap. PS: daylight saving I don't like you except when the tab is reverse and I gain an hour. How did you guys manage this morning? Were you late? is your body all out whack like me? Sign up for our weekly updates to be delivered right in your inbox, along with our monthly newsletters that offers EXCLUSIVE contents on Faith, lifestyle and healthy habits. Mom, blogger, encourager, entrepreneur, Jesus lover, shoe lover, DIYer, Faith, Family and Fashion. South FL Single Mom of girls. It's a come back! Happy New Year yall!